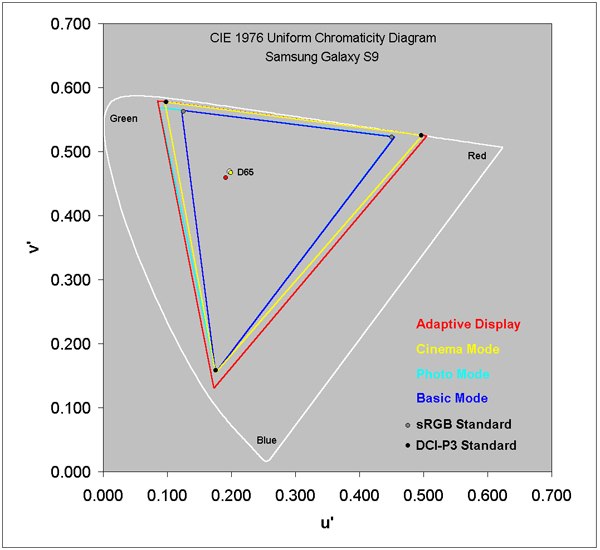 Figure 1a below shows the measured Color Gamuts for the four Galaxy S9 Screen Modes along with the new wide DCI-P3 Standard Color Gamut marked by 3 Black circles. The outermost white curve is the limits of human color vision - the horseshoe is the pure spectral colors and the diagonal is the Line of Purples. A given display can only reproduce the colors that lie inside of the triangle formed by its Primary Colors. The Galaxy S9 has 4 user selectable Screen Modes. The AMOLED Cinema screen mode is an accurate match to the DCI-P3 Standard Gamut that is used for the new 4K UHD TV content. The Basic screen mode is an accurate match to the sRGB / Rec.709 Standard Gamut that is used to produce most current consumer content. The AMOLED Photo screen mode is an accurate match to the Adobe RGB Standard Gamut that is used with high-end digital cameras and advanced imaging applications. The Adaptive Display screen mode has the Widest Color Gamut and is intentionally Vivid. 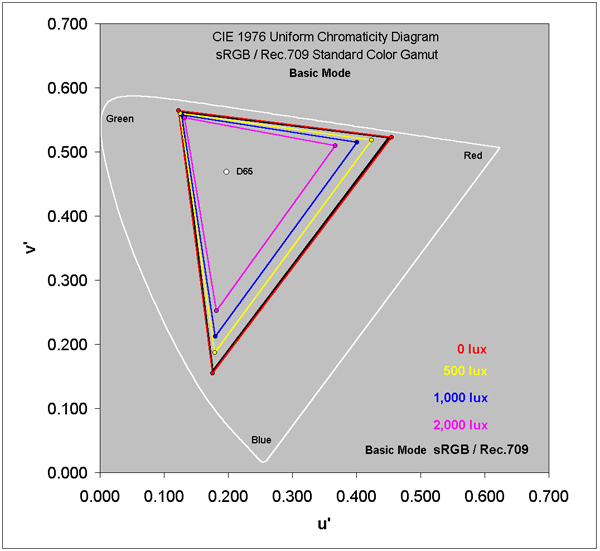 Figure 1a above shows the Color Gamuts in 0 lux Ambient Light, which is perfectly dark. 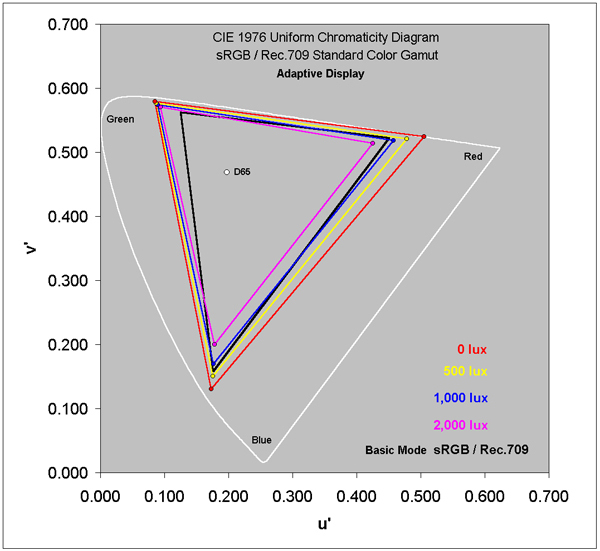 Figure 1b below shows the decrease in two Color Gamuts with increasing Ambient Light, up through 2,000 lux, which corresponds to typical outdoor daylight in shade. At 500 lux, which corresponds to typical office lighting, the on-screen Color Gamut for the Basic screen mode on the left has fallen to 91%. At 1,000 lux, which corresponds to very bright indoor lighting or outdoor daylight with an overcast sky, the on-screen Color Gamut has fallen to 78%, and at 2,000 lux the on-screen Color Gamut has fallen to 61%.